Originally filmed in front of a packed Hammersmith Odeon in 1983, Alchemy Live presents a storming set showcasing Dire Straits at their peak, now finally restored to pristine High Definition visual clarity, with remixed stereo and stunning 5.1 surround sound. Featuring the seminal hits Sultans Of Swing and Romeo and Juliet plus a unique encore performances of the Ivor Novello Award-winning Going Home from the soundtrack to the film Local Hero. Demonstrating faultless musicianship, this is a true recording of excerpts of one Dire Straits performance, containing no re-recording or overdubs of any kind. This, along with massive critical acclaim, makes Alchemy Live truly one of the most revered live recordings of all time. WEA is set to release Alchemy on DVD. Chuck Ainlay remixed the original tapes which formed the Alchemy album. The film has been digitally enhanced and a 5.1 DVD and blue-ray version of the concert will be available. The approximate release is penciled for Monday, 10th May but this is not confirmed and retailers will not be aware of this release as yet. More details will be posted as they become available. Indeed, ALCHEMY DIRE STRAITS LIVE is being remixed in 5.1 sound by Mark Knopfler's Engineer Chuck Ainly for a DVD release due Monday, 10th May!!! Keep your VHS cassettes for collectors, and don't miss the release date!!! 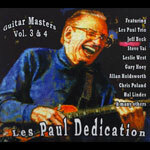 LES PAUL Dedication, Guitar Masters Vol 3 & 4 - Release date June, 2010 Contains rarity tracks from Les Paul, Jeff Beck, plus never before released tracks featuring guitar sensations, Gary Hoey, Frank Gambale, Hal Lindes, Chuck Loeb, Chris Poland (Megadeth) and Alex De Rosso (Dokken). Distributed by BHP / Redeye. 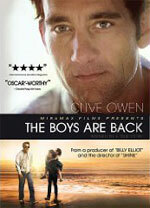 Clive Owen delivers a critically acclaimed performance in THE BOYS ARE BACK, the heartwarming and uplifting drama about a man who is suddenly thrust into the role of single parent. Successful sportswriter Joe Warr (Owen) finds himself completely unprepared to raise his rambunctious 6-year-old son Artie and juggle the challenges of a demanding job, running a household and the possibility of romance. Determined to bring joy back into their lives, he develops a revolutionary approach to parenting no rules, no chores. It's a home filled with love and chaos and then Joe's estranged teenage son comes for a visit. Inspired by a true story and filled with emotional honesty, this poignant film will touch your heart and lift your spirits. 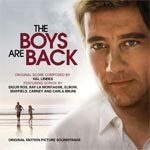 The US Release date for The Boys Are Back Soundtrack CD is set for March 30, 2010. CD features Hal Lindes' delicate and ethereal guitar soundtrack to Scott Hicks’ new film and also features songs by Sigur Rós, Ray Lamontagne, Carla Bruni, Mayfield, Elbow and Carney. George Kooijmans (Golden Earring) & Frank Carillo CD Release on Universal. 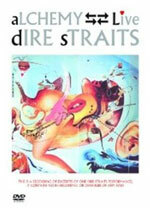 George Kooijmans (Golden Earring) & Frank Carillo's CD 'On Location' is released April 2, 2010 on Universal Records. Featuring the song 'I Don't Wanna Go Across The River', composed by George Kooijmans, Frank Carillo and Hal Lindes. The song was born out of a session at Hal's London home. "It was a particularly cold winter night and the three of us got very comfortable with our instruments (George and Frank on guitars, Hal on piano) and bottle or two of wine. We were due to be on the other side of the Thames river shortly to hook up with friends and we were in serious procrastination mode, not looking forward to facing the harsh weather conditions outside. The groove and mantra came pretty quickly."